These photos are one of the first times I’ve done dance photography as an organized shoot rather than as event photography. The shots were done for a calendar for UBC Ballet Club. They will use three of my poses. WOW! These are probably the most captivating dance photos I have seen from the shoot. I love the lighting and how it highlights the lines of the dancers. Both yourself and Martin are absolute superstars. You really made us look amazing in these photos. I love them so much! Special thanks to Martin Knowles at MK Photo Media for assisting with the shoot. UBC Ballet Club – Dance Calendar by Devonavar is licensed under a Creative Commons Attribution-NonCommercial-ShareAlike 4.0 International License. 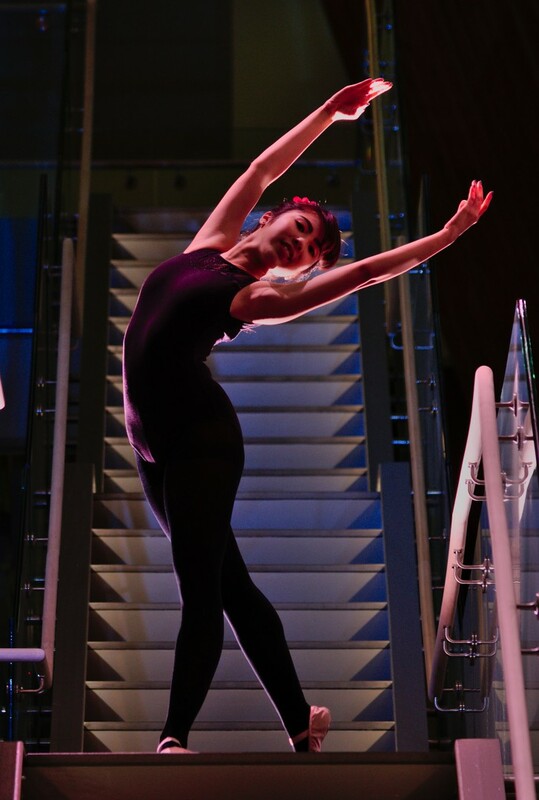 This entry was posted in Dance, Film & Media, Photography, Photoshoots and tagged Ballet, Dance, Photography, UBC Ballet Club by Devonavar. Bookmark the permalink. Valerie: This is the photoshoot I was telling you about. Arthur, Kimberly: This is what delayed me on Saturday. ahhhh! I recognise Sara N!!!!!!Lovely! I would add a second light source, especially on the stair photographs. With a second light (such as a softbox) you could illuminate the dancer while maintaining the halo/backlit effect. These are a good starting point, but to improve in the future more/different light is needed. I would encourage you to check out lighting technique and maybe even take some courses in it (theres some in Video). Thanks to Martin Knowles for assisting on the shoot. Hey, you’re welcome. That was fun to light!